Ahhhhh… can you feel it? Love is in the air. 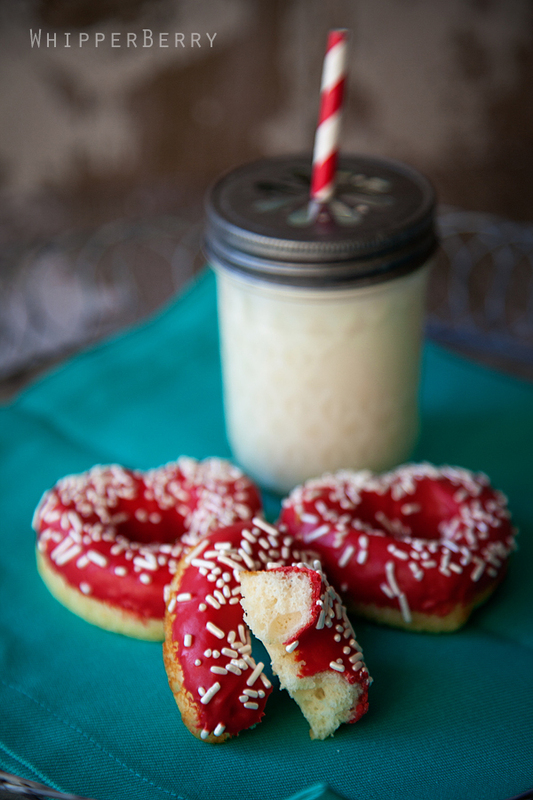 As promised I have the recipe for the Vanilla Bean Heart Doughnuts that I featured last week with our Gift Gloss post. 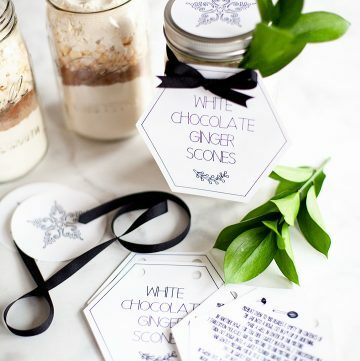 These little gems are perfect for any Valentine goodie or gathering. Don't worry, you don't have to make them heart shaped. Any good donut baking pan will do. I found my heart doughnut pan at Target if you want to make the heart shaped variety or you can find a good ole' round doughnut pan large or small at your local baking store or online. Here is the recipe that I used. In a large mixing bowl sift together the flour, sugar, baking powder and salt. Add buttermilk, vanilla, eggs and butter. Cut the vanilla bean length wise and using a knife scrape out the vanilla seeds and add to the mixture. Mix just until combined. Fill each doughnut cup 1/2 full and bake accordingly. The top will only slightly brown and the doughnut will spring back when touched. Let doughnuts cool in pan for a few minutes and then place on a wire rack to cool completely. Now my little secret is… I dip the doughnuts in melted chocolate to create that lovely glazed look. The funny thing is I now prefer my doughnuts with a chocolate topping! I used the red colored candy melts along with some white jimmies from Sweet baking & candy making supply. I prepared the chocolate according to package directions and then added a tablespoon of canola oil to the chocolate to thin it out a bit. You'll have to check the consistency of the chocolate and may need to add a little more. Just start slow until you get your desired consistency. Don't worry, the chocolate will still set-up with the oil. Carefully dip the doughnuts into the chocolate and then sprinkle the top with the jimmies. Put doughnuts into the fridge or freezer for a few minutes until the chocolate sets-up. The lovely thing about the chocolate is that it makes it super easy to package your goodies without making a huge mess and they taste aaaaaamazing!! 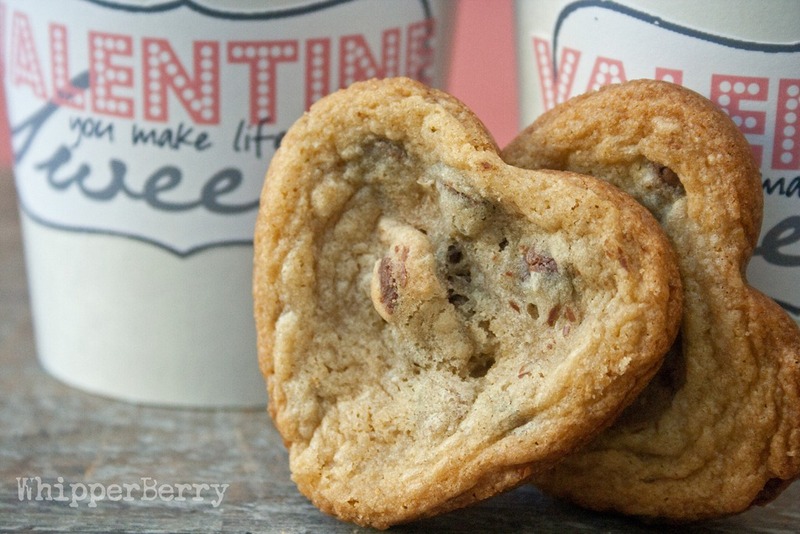 Heart shaped cookies with a free packaging printable. 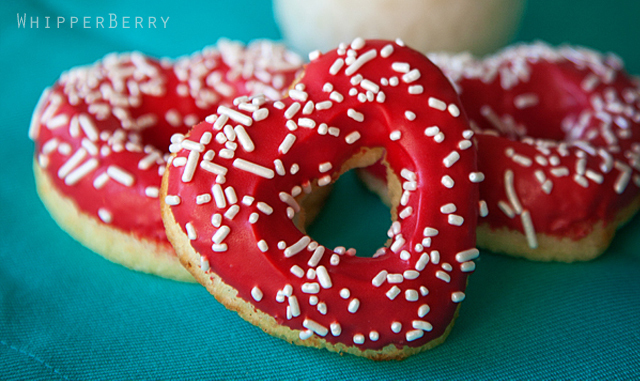 Yes… I have a thing for heart shaped goodies! Hi! LOVE your menu chalkboard and am trying to recreate it. Any chance you can tell me how many inches your “menu” letters are (the older version in doodletype) as well as how many inches your circles are around the weekday letters? THANKS! The cutest! And made with soooo much more love than store bought! Love it! did you use choc. chips melted for doughnut topping? These look and sound gorgeous,….on my to do list now for sure!!!! Thank you for un truncating your posts for those of us that read in a reader. I used to skip you by but now I can actually read yippee posts! thank you thank you thank you!! I love these donuts, I have a Baby Cake machine and I’m going to try your donut recipe in it! I didn’t know it was possible to make food look so gorgeous! New to your site…looking forward to following you! Nice Job! These are scrumptious and so easy to make! If you use the heart-shaped donut pan mentioned, it makes 24 donuts.